A-1 Pumping & Excavating has been providing quality service since 1966. We are a locally owned, full service septic business providing residential and commercial services to the Sioux Falls and surrounding areas of eastern South Dakota, and northwest Iowa. We take pride in the work we do and the service we provide to our customers. Excellence in customer service is very important to all of us. A-1 Pumping & Excavating offers homeowners a full range of residential septic system services and inspections, as well as installations, repairs & rejuvenations. We also provide commercial and industrial clients with backflow prevention, hydro jetting, and video pipe inspections. Our professionals consist of properly trained and licensed vacuum trucks operators and excavation crews, who are able to assist with any septic system, tank cleaning, dewatering or high-powered vacuum needs. 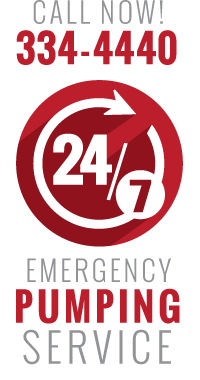 Only A-1 Pumping & Excavating offers a full array septic system management services. 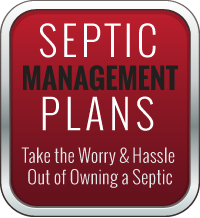 Let our experts customize a septic management program to address your specific requirements—whether you’re a homeowner, industrial facility, commercial enterprise, or municipality. Darby Parsons is the President and a owner of A-1 Pumping & Excavating, a business his family purchased in 2013, which at the time consisted of three small tank trucks and some customer records. Brian Chester became an owner in 2018 and currently oversees the daily operations of A-1. Darby, his wife Jody, and Brian — along with their hard working employees, have grown the business into a full service septic and excavating business. They can meet all of your septic tank and sewer & drain cleaning needs along with septic repairs and many other services. They also helped to facilitate the company’s rebrand.